Essays are of many types and tend to have several specific purposes. 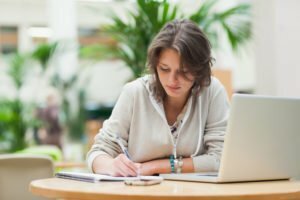 This blog tends to your writing an essay for any purpose, be it application essay, assignment essays or be it for any general purpose. Usually, we tend to keep our eyes close to what tricks we can use to write an essay better. But equally important is to know and keep in mind what mistakes we usually make that if avoided can help us write great essays. 1. 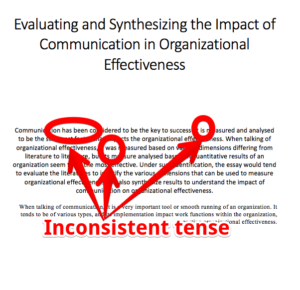 Inappropriate essay planning: Depicted by lack of clear understanding of aim the work loses focus and no connectivity among sections is a cause of major error. Also, the aim is not achieved. Even if achieved the discussion is not in line. 2. Inappropriate Introduction and Conclusion: The start should be a “hook” to hold on the reader. But avoid socking statements. To manage the paradigm and propose an extraordinary start is a challenge. 3. Inappropriate Title: Title speaks of what is contained in the essay. It is the first point of contact with the reader. That needs to exactly “term” the essay, which usually is not well done. 4. 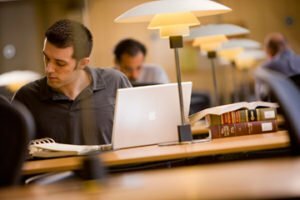 Wrong requirement understanding: There are different types of essays. Argumentative, descriptive, narrative as well as exploratory. And all the different types of essay have different style in which they are written. But lack in clarity brings in trouble and we end up writing it in the wrong style. 5. Run–on sentences: Often in the flow of writing, two or more pieces of information are put in one sentence that pertains to deliver and resolve different objectives to an essay. Such sentences are referred as run-on sentences and needs to be avoided. Also, a very long sentence with too many punctuation are also referred to as a run-on sentence. 6. Unconnected Paragraphs: The most important that makes the essay readable and appreciable is its flow from section to section. The introduction that explains what is contained in the work needs to bring out a few topic areas. Each topic area should be considered independently in the body paragraphs with the first sentence of every paragraph defining the topic sentence and the last sentence of every paragraph prompting relatedness of content from the paragraph to the next one. 7. Improper page layout and presentation: It is not just the content, but also the presentation that is often overlooked. Though we don’t feel so, but the presentation matters equally when your work is being assessed. 8. 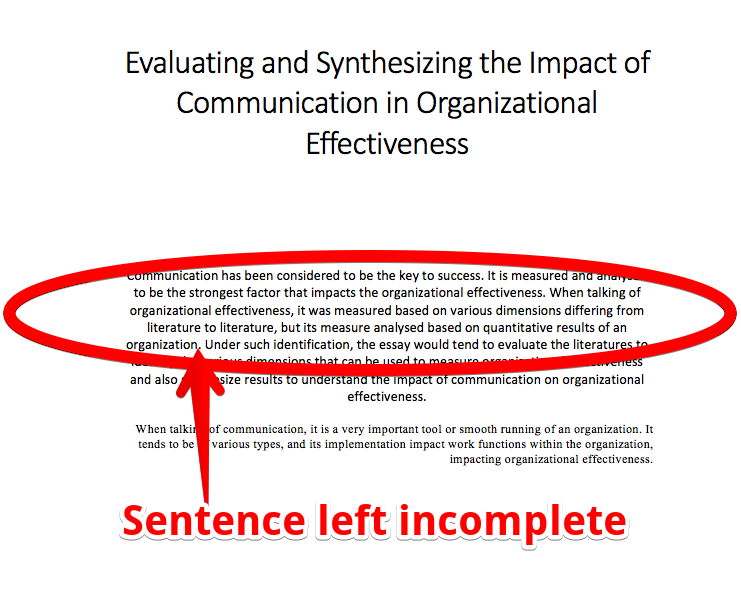 Describing instead of critically analyzing or evaluating: Lack of clarity in understanding the requirement and meaning of terms like “analyze”, “evaluate” and “describe” causes the prominent error. Look up to Bloom’s Taxonomy, that will help you with all that you need to know about these terminologies. 9. Tense errors– Managing tense is a very critical issue and many of us do make this mistake. A switch in tense used in the work, in the flow of writing changes making tense related errors. The issue of inconsistent tense makes the overall English sound very poor and portrays a bad impression. 10. Punctuation errors: In the flow of writing, we miss out punctuating our sentences, causing the reader to either misunderstand or not understand anything at all. 11. 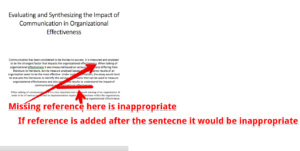 Inappropriate referencing: Knowing what to reference and what not to, is a common issue that has been identified. Keep a close eye to refer correctly all pre-published and identified facts and figures. 12. Missing References– Important facts are often written but not supported by appropriate references. Such facts lack authorization and also increases risks of the work being considered plagiarized. The fact of missing references also presents a picture that the work has not been done on basis of good literature review. 13. Establishing correct topic sentence: Every paragraph starts with a topic sentence in an essay. Framing it appropriately is often not done leading to the start of the paragraph to prompt something and the discussion being something else. 14. Misusing of words and phrases: Using words without knowing its correct meaning and usage is a typical mistake witnessed. Be sure to check its meaning and usage before using it in your essay. 15. Spelling errors- Though this is a very minor point when mistakes in error is considered, but one of the most common errors identified. This not only makes the work weak, but also ineffective. 16. Contradictory statements: Be it mismatched information or sensitive information, both can lead to contradictory statements if not used properly. 17. 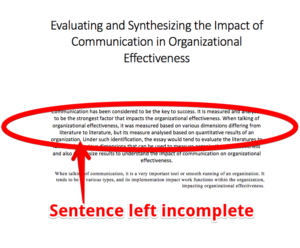 Mismatch between contributions and conclusion: An appropriate conclusion is often not found in an essay. Be sure to pool your contributions to form your conclusion. 18. Loss of focus: The introduction claims some objective but the conclusion proves something else. This is a very common mistake, and profoundly the main identified mistake. 19. Using of quotes instead of paraphrasing ideas: Be it any form of academic writing, especially essay quoting is a practice that should be avoided. We usually do it when we are either unsure of what is exactly meant by the quote and also when the quote seems to have some good vocabulary. 20. Recommendations not pooled from analysis: We describe and analyse something and recommend on another line. This is a very common mistake as we don’t always look back to what we have written. Scroll up several times to read your analysis when you recommend. 21. Use of slang in flow of writing: What we say is not always a formal writing vocabulary. But we tend to use such words when we write. Rereading and revising what you write would help as tool to be error free. 22. Incomplete Sentences: Not only in case of an essay, but for every writing exercise one needs to be careful in the flow of writing. As the speed of thought runs faster than our fingers on the typing board, such errors are common. So keep a check and proof read your work. 23. Using unreliable references: Often as a habit and requirement, we tend to add references without understanding its real need. This may be dangerous if a weak or unmatched reference is used. Say a definite “no” to sites like “Wikipedia” in academic writings. 24. Using it as a medium to vent out personal opinion and point of view: In flow of writing, if the topic is familiar, we tend to vent out our frustrations and opinions overtly forgetting the formal aspect. Other than reflective essay, such habits may cost you. So be careful before you give personal touches. 25. 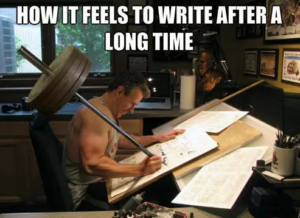 Writing long and complicated sentence: Don’t judge a reader’s patience. Be moderate too long and complicated sentence can confuse a reader. Try to be crisp and clear. Even if you are confident to justify long sentences, be sure to use proper punctuations. 26. Taking up too many assumptions: The flow of the essay and its content should be planned in a way that assumptions presented in the initial sections of paragraph are well justified by its end. If one takes up too many assumptions, then justifying all within word limit prescribed turns out to be a trouble making the work dilute. 27. 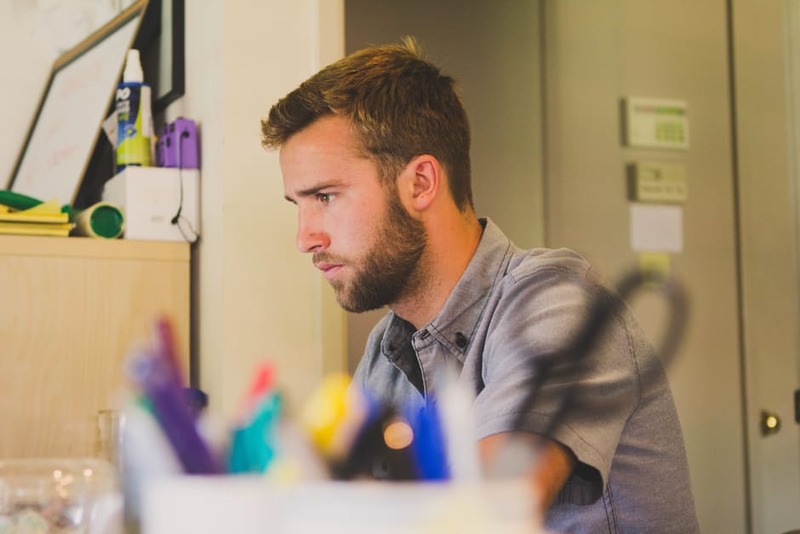 Less efforts put at work– How so ever intelligent you are and how well you know the topic, one needs to put efforts to identify a wide variety of data to formulate the final essay. Writing an essay is an art. Be careful to beautify it with personal touch to bring out the best results with desired inputs. Other than taking care of inclusions, which are usually pointed, be careful to avoid the mistakes that are commonly done as discussed above. This entry was posted in Academics and tagged 27 Mistakes students make with their essay. Bookmark the permalink.